The summer 2017 edition of Packaging + Processing OEM magazine features an in-depth profile of Omega Design. Be sure to check out the article - Harvesting fruit from the STEM, by Matt Reynolds, editorial director - which looks at how Omega Design's commitments to external workforce development and internal training have it primed to tackle whatever the pharma industry has in store for the next generation. Read the Harvesting fruit from the STEM here. When we hear success stories, we often look for patterns that we can apply in our own lives. Serialization in pharmaceutical packaging is no exception. During a presentation at the Healthcare Packaging & Processing Conference co-located with this year’s PACK EXPO East in Philadelphia, Glenn Siegele, President and CEO at Omega Design Corporation, explained that serialization success stories share common themes. Each story has a clearly defined process strategy and a path to implementation. The underlining message in this presentation was to emphasize that serialization solutions may be unique to each application, but there are common approaches to solving them. 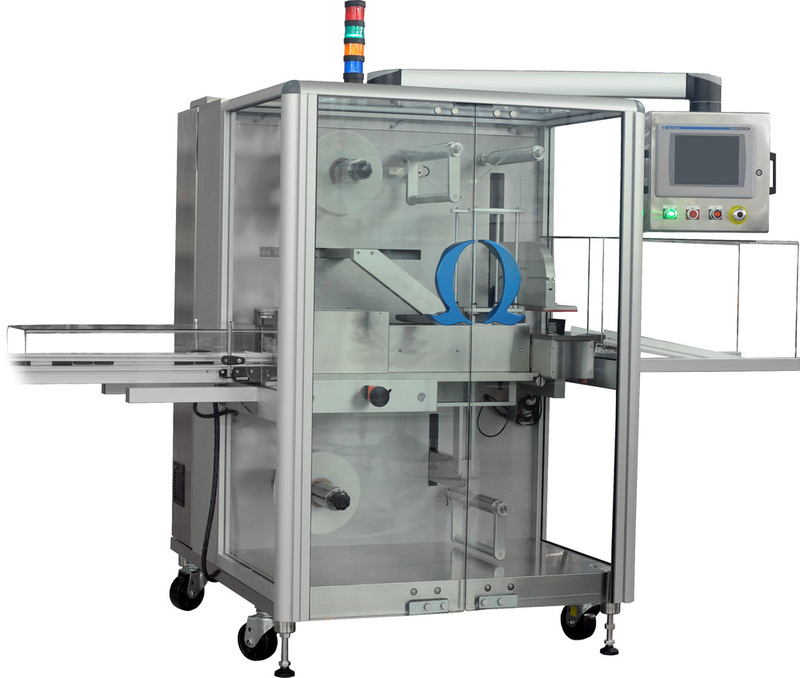 Omega's Serialization Specialist, Chris Siegele, answered an exclusive Pharmaceutical Processing questionnaire to share more about Omega Design, its technologies, and some of the upcoming trends in the industry. Tell us about your company. Specifically, what do you do and what are some of the areas that you excel in? What are some of the major innovations that have taken place in your industry in recent years? How has it impacted operations? What are the biggest challenges in your industry? How have companies endeavored to address this? Where do you see the most room for growth within your industry? What are the biggest markets of your industry and why do you think that is? Glenn Siegele, President of Omega Design Corporation, was one of three featured panelists in a serialization roundtable article published in the American Pharmaceutical Review. Many regulations for track-and trace and serialization are still being finalized. What advice can you give to a pharma company that wants to be prepared? What anti-counterfeiting and anti-diversion technologies show the most promise to thwart illegal activities and why? What are some of the biggest barriers to implement track and trace technologies? Cost? Complexity? Lack of regulatory guidelines? What segment of the industry is really driving advances in track and trace/serialization? Government? Industry? Vendors? Why? Who has the most to gain, or lose? Do you foresee regulatory agencies around the globe coming to a joint consensus on track and trace regulations in the near future? Due to the increase in global initiatives to better secure the pharmaceutical supply chain, it is necessary to select valuable, trusted partners in order to protect your brand, bottom line and, most importantly, your customers. Domino Printing Sciences and Omega Design Corporation have partnered for more than 20 years and continue to work together, preparing you for serialization. Watch this video to see various examples of how Omega and Domino products work hand-in-hand. Whether you're looking for unit-level serialization solutions or aggregation solutions, the Omega and Domino team can provide you a fully-integrated, customizable serialization solution to track your products down to the unit level. Exton, PA – February, 2015 – The East Coventry 4th grade class took their 2nd annual field trip to local manufacturer Omega Design for fun and learning about how the six simple machines they study in class are used to build complex machines that make work easier for all of us. The East Coventry 4th grade class learned how the simple machines they have been learning about in class are combined to produce more complex machines used everyday throughout the economy. For this lesson they toured local machine automation company, Omega Design Corporation, going from station to station to see these simple machines in action. Pulleys, levers, wedges, screws, inclined planes and wheels and axels make up the world of motion/ everything that moves. Attending a bring your parent to school day, Omega Design President Glenn Siegele saw the 9 and 10 year olds measuring force and distance of various pulley configurations. He told them that these concepts are used in the machines that his company builds. An offer to tour quickly followed and their teacher jumped at the opportunity. From the education perspective it’s extremely valuable to show kids how what they are learning is used in the world. On the company’s side, the importance of being a responsible community partner and to work towards developing a larger, more interested, and better trained workforce were prime goals of the event. A win, win for everybody involved. At one station the students competed with a bottle unscrambling machine to see how fast they could place bottles on a conveyor. The Bottle Unscrambler employed all the simple machines to produce a more efficient operation. The children were thoroughly engaged and a chorus of “woh” and “cool” sounded when the machine turned on. It’s difficult to reproduce an experience like that in the classroom. Another station the students used a lever to punch a hole in a thick plastic material. They saw how many different ways screws were used to move heavy pieces of metal or register equipment, and even in their safety glasses. An emphasis on safety backdropped the hands on learning experience.